Design Trust Futures Studio is a cross-disciplinary initiative conceptualized by Marisa Yiu, Co-founder and Executive Director of Design Trust. 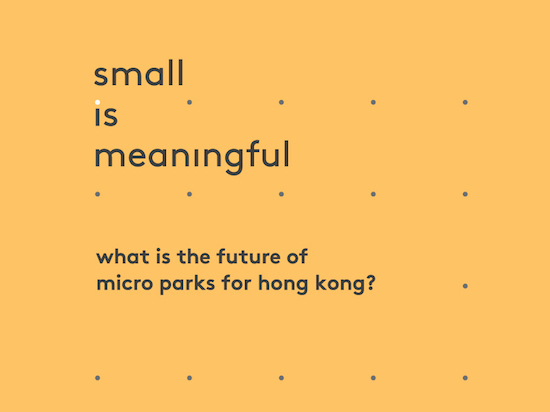 The 2017 inaugural theme is “SMALL IS MEANINGFUL”, focusing on concepts of smallness and sharing, the phenomenon of micro-housing and the future of micro-parks. The exploration and research will involve housing and parks in Hong Kong, examining how space is utilised. The programme will culminate in a series of new prototype micro-parks for Hong Kong at an exhibition in October.